Download Section: Email and messenger tools of Category: Symbian s60v2 softwares - VatikaG free downloads portal. Description : Wechat is the new way to connect with friends. enjoy free text & voice chat, image and video sharing and many more amazing features.no.1 social messaging app. wechat messenger is a top mobile voice and text chat application with friend discovery social features and shared streaming photo feeds from friends personal photo albums. Description : Download ebuddy messenger for java mobile phones, by this application you able to voice chat and send file. 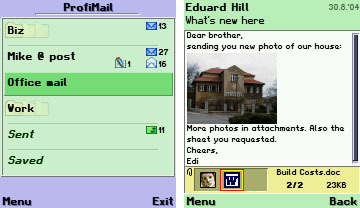 Description : Download sms forwarder v2.2 lite software for mobile. Description : Download talkonaut v4.09 mobile messenger that provide access to voip enabled google talk. makr voice calls and enjoy this application at your smartphone. 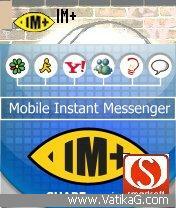 Description : Download im+ v5.61 mobile instant messenger for your nokia s60v2 mobile phones like n72, nokia6600 etc. Description : Download turbi v4.0 social browser for your noikia symbian s60 version 2 mobiles. turbi is a social network application. 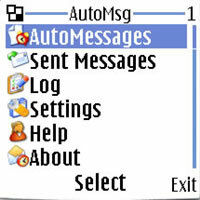 Description : Download auto sms sender mobile application and send messages at a fixed preset timing. compatible with nokia s60v2 mobiles. 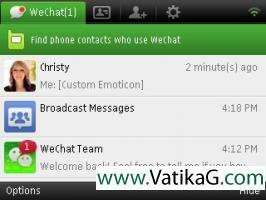 Description : Download rocketalk for voice chatting with friends on your symbian s60 mobile phone. share photos, videos and more.